Exact details and specifications for the site, including its architect, have not been revealed. 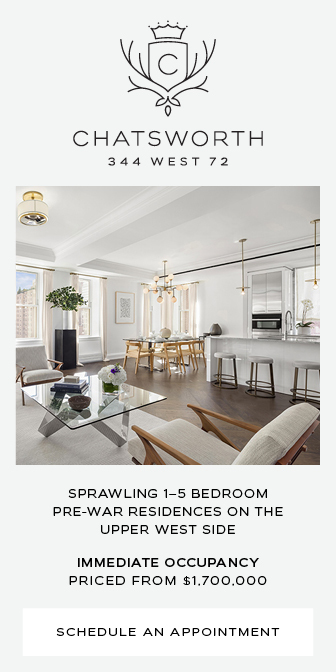 However, the company that created the renderings, ATCHAIN, has previously worked with major New York architects on visualizations, including Kohn Pedersen Fox, which YIMBY suspects is the firm behind these plans. 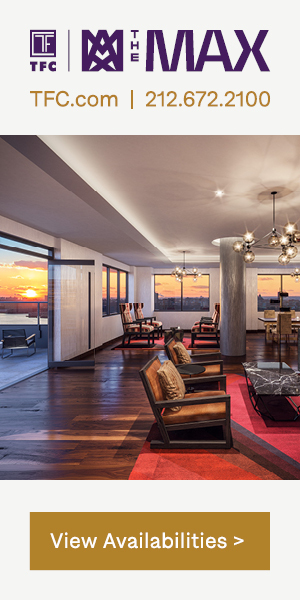 The renderings show two similar but slightly different design iterations for 80 South Street. 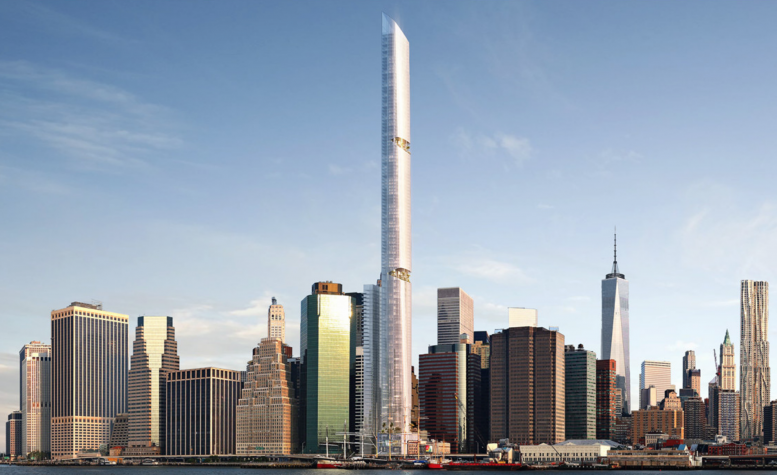 Both feature a strikingly slender supertall that would add the most prominent punctuation mark yet to Lower Manhattan’s skyline, and while the parapet of the project would place its height substantially below that of One World Trade Center’s spire, the overall roof height looks to be about 1,500 feet above street level, which is a large notch above One WTC’s 1,368-foot rooftop. 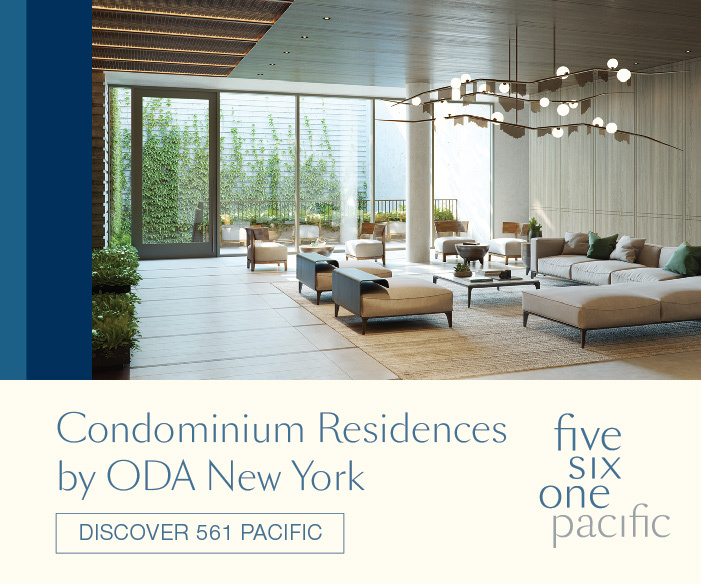 Unfortunately, the outlook for 80 South Street has become increasingly bleak following a wave of busts affecting Chinese-backed developments in Manhattan, which occurred due to capital outflow restrictions enacted by the Communist Party of China. YIMBY recently featured a detailed analysis of 80 South Street’s history and its possible future, and while China Oceanwide’s plans have finally been revealed, the company’s financial problems mean that these renderings are unlikely to be realized unless the company that next acquires the assemblage is interested in keeping the current design configuration. The renderings further illustrate how 80 South Street will eventually completely obstruct the northern side of One Seaport, which has also been in the news recently thanks to allegations that the structure is leaning three inches to its north and that the tilt is increasing amidst construction delays that have been worsening since late 2018. The total scope for 80 South Street is expected to encompass an eventual 1,067,350 square feet of development, with about half of that being residential. The remainder would be commercial, likely including a substantial hotel component. While the ULURP documents suggest a height of 1,436 feet, YIMBY’s estimate of 1,500 feet for the released renderings may in fact be too low if the floor count actually matches the approximately 120 stories visible in the images. No completion date for the site has been announced, and with China Oceanwide apparently facing financial difficulties, it seems more likely than not that this site may again switch hands to a new developer. 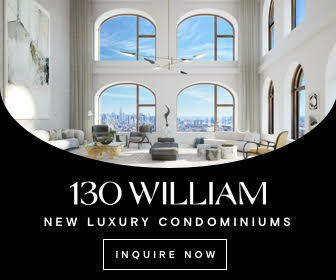 This would be nothing new for 80 South Street, which was first imagined as Santiago Calatrava’s foray into the New York residential market before YIMBY revealed an update courtesy of Morali Architecture, prior to the site’s sale to Howard Hughes, when a design by SHoP Architects was created but only ever barely-glimpsed before the acquisition by China Oceanwide. 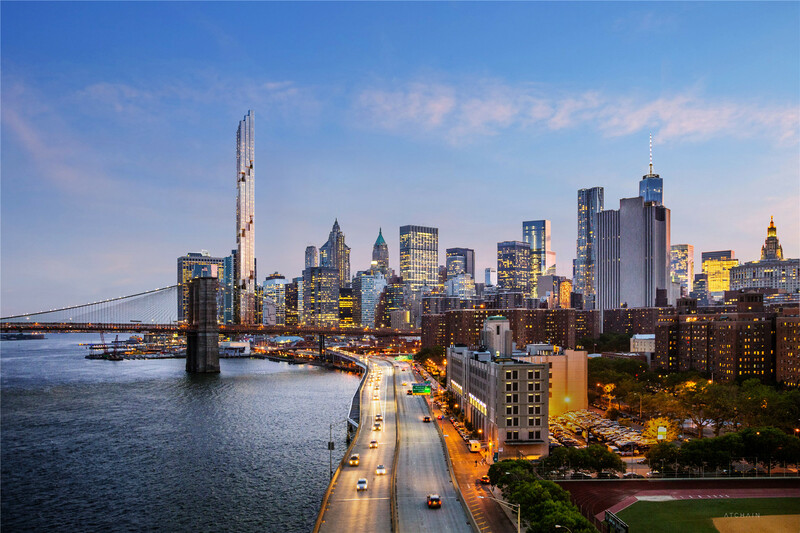 25 Comments on "Exclusive Reveal for Lower Manhattan’s Tallest Proposed Supertall, at 80 South Street"
it is interesting to wonder how much of the rampant redevelopment of large swaths of the city in the last 15 year might have been driven by foreign real estate investment. 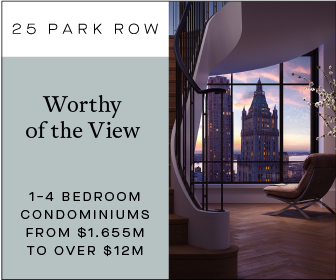 The more new condos the better. I don’t care who pays for them. Just build them. Also, it would be nice if people started developing more low income apartments outside the city. Wow! How simple minded you are. Its the true New Yorkers who built this city but the greed thinks they own it. Exactly. Get as much low incone/poor people out of the city as possible. How do they deal with Mechanical? Parking? Elevator Banks? Deliveries? Who cares? Just get it done. Somehow this diminishes the skyline. I agree it really does diminish the skyline. I suggest the YIMBY correspondent for this post might want to review the use of the word litany in the second para. How about “substantial number” instead? If it’s a lengthy but familiar, and oft repeated list ( in this case of architects ) then I believe ‘Litany’ is acceptable. I never thought I’d see a tall building that would make the twin-tower World Trade Center look good. 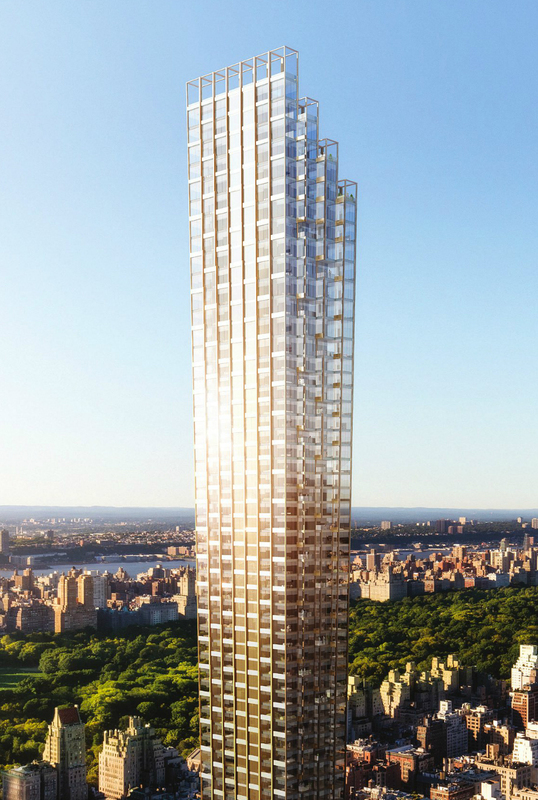 Then came the smokestacks at the south end of Central Park, and now this horror. Is it taller that the World Trade Center? On one hand, finally a slender and striking addition to the skyline of Lower Manhatten, which now is dominated by big and gross office building from the 70s and 80s. But as said earlier, this proposal will, when you look the renders, diminish the skyline fairly. I’m also curious how this proposal will change the balance of the skyline overall. Did ATCHAIN provide the renderings with permission from owner and architect? Do a community survey to see if anyone actually wants these buildings to be built. world – and a city famed for its skyscraper skyline – has none. When they catch FIRE it will be interesting and the scene of a great disaster movie. A vertical Titanic! Any comments from the members of FDNY Or will a condo unit be reserved for firefighting men and women?